Ideal for POS displays and counter top promotions. Compatable and light weight. 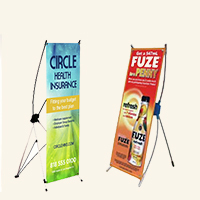 Table Top Mini Roll Up Banner Stands. Print vivid and durable signage to use for pop-up stands. Printing and banner stand and carrying case included. 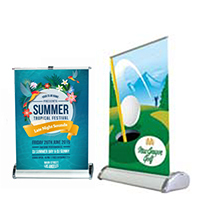 Table Top Mini X-banner stand is one of the most cost effective ways of displaying your banners and is a great way to brand and advertise indoors.